Italian Premier Giuseppe Conte, flanked by Infrastructures and Transport Minister Toninelli, addresses the Italian Senate, March 19, 2019. Conte has pledged to make Italy the first G7 nation to join China's ambitious Belt and Road Initiative. Italy is expected to join China’s Belt and Road Initiative, or BRI, when Chinese President Xi Jinping arrives Thursday in Rome. The United States has been critical of the trillion-dollar global infrastructure project and warned about the risks of "debt-trap diplomacy." Members of the European Union are worried the plan could add to fissures in an already strained coalition. FILE - Chinese President Xi Jinping speaks with then-Italian Prime Minister Paolo Gentiloni (not pictured) during a bilateral meeting at Diaoyutai State Guesthouse in Beijing, China, May 16, 2017. When Xi visits this week, analysts say Italy is expected to sign a non-binding memorandum of understanding (MoU) with China. That agreement will pave the way for construction projects and financing from the Beijing-based Asian Infrastructure Investment Bank. 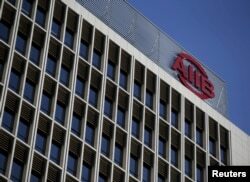 FILE - The logo of Asian Infrastructure Investment Bank (AIIB) is seen at its headquarter building in Beijing, Jan. 17, 2016. “The MoU is mostly perceived as a way to secure more exports to China and more chances to access financing from the AIIB,” said Alessia Amighini, co-head of Asia Center at ISPI, a Rome-based research group. Rome expects to reduce its trade deficit with China and avoid some heavy expenses by attracting Chinese and AIIB investments in big infrastructure projects. The agreement also will give Chinese companies more access to the busy port of Trieste, and in turn, the Mediterranean. Reports emanating from Italy suggest Rome also is looking at the possibility of inviting Chinese companies to expand or manage three other Italian seaports, which are Genoa, Palermo and Ravenna. “Italy is eager to attract investments to improve its competitive position compared to northern European routes and ports,” Amighini said. Clearly, China is exploiting business competition within the Eurozone and trying to wean away an important member by offering a set of attractive terms, analysts note. The MoU signing will represent a major political achievement for China at a time of growing concerns and criticism of the plan. Italy is a founding member of the European Union and could help open up doors for Beijing to the Eurozone. So far, the Belt and Road Initiative's biggest projects and controversies have been tied to countries with serious financial difficulties, such as Sri Lanka, Pakistan, Maldives and Greece. With Italy's decision to join, China is dealing with a country where there is less fear of slipping into a debt trap under the program. But it is likely to challenge Europe’s connectivity strategy, a plan that was unveiled in September 2018 and aims to improve links within Europe and with Asia while promoting sustainability standards and rules-based practices. Analysts are waiting to find out if Xi will offer a modified version of the program to Italy to meet European standards; but adopting those standards would take away China’s ability to cut costs and reduce its competitive edge. 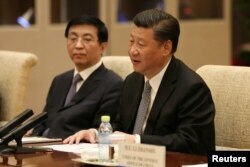 “I don’t expect China to show more flexibility. In any case; I don’t see financing terms as a real issue in Europe,” Amighini said. Teresa Coratella, program manager at the Rome office of the European Council on Foreign Affairs, said the Italian move has the potential of creating disunity in the European Union at a time when the coalition is working out a common approach toward Chinese investments. Both the U.S. and France have expressed discomfort about Rome’s move, while German officials reportedly have been lobbying against the MOU signing. Italy, a member of the Group of Seven most industrialized countries, is the only G7 nation to join the BRI. “Italy is a major global economy and great investment destination. No need for Italian government to lend legitimacy to China’s infrastructure vanity project,” tweeted Garrett Marquis, spokesman for White House’s group of national security advisors. French President Emmanuel Macron has expressed unease about Rome’s decision, and he has called for a “coordinated approach” covering all European Union members toward Chinese plans. “It’s a good thing that China is taking part in the development of many countries, but I believe in the spirit of equality, reciprocity. The spirit of equality means respecting the sovereignty of nations,” Macron said. Lucrezia Poggetti, a research associate with Merics, the Berlin-based research institution, said Italy is the third-largest economy in the eurozone, and an Italian signature on the BRI has wide implications. “Italy's decision in itself is bad news for the EU and its largest members, who are currently trying to pursue a more unified European China strategy to address challenges with the economic and political weight of the EU bloc,” she said. Rome’s attraction toward the BRI is not new. Former Italian Prime Minister Paolo Gentiloni was the only head of government among G-7 countries to attend the first meeting of the Belt and Road Forum in May 2017. The current government would “go much further by officially endorsing an initiative that has been criticized internationally for, among other things, creating debt traps, political dependencies and promoting exclusively the interests of Chinese companies through unfair practices that don't meet international standards and rules,” said Poggetti. Zhiqun Zhu, who chairs the Department of International Relations at Bucknell University in Pennsylvania, said the United States is exaggerating the idea of a China threat in all issues, including the BRI plan. “Italy and other countries should make their own decisions instead of being forced to choose sides between the U.S. and China,” Zhu said.